Home Off Beat	Food tats: Tattoo for foodies! Ever thought of getting yourself inked? If you’re going to get one, I’m sure you’d ink yourself with something you love. Getting girlfriend’s name, heart cupid etc. inked sounds cliche. Doesn’t it? One thing I’m sure none of you’ll disagree with me on is we all love food. 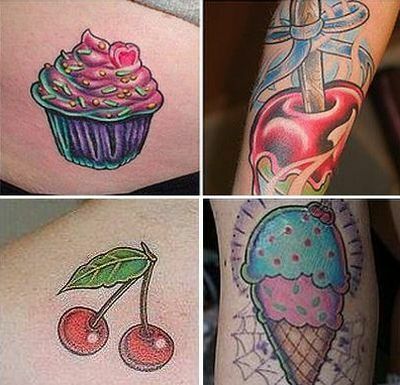 Why not go for food-themed tats. Something different and refreshing!